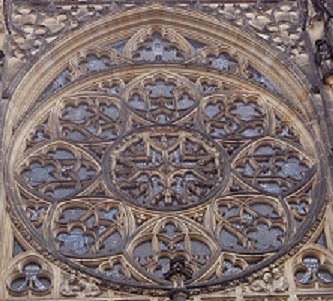 The carved rosette windows of St. Vitus Cathedral. 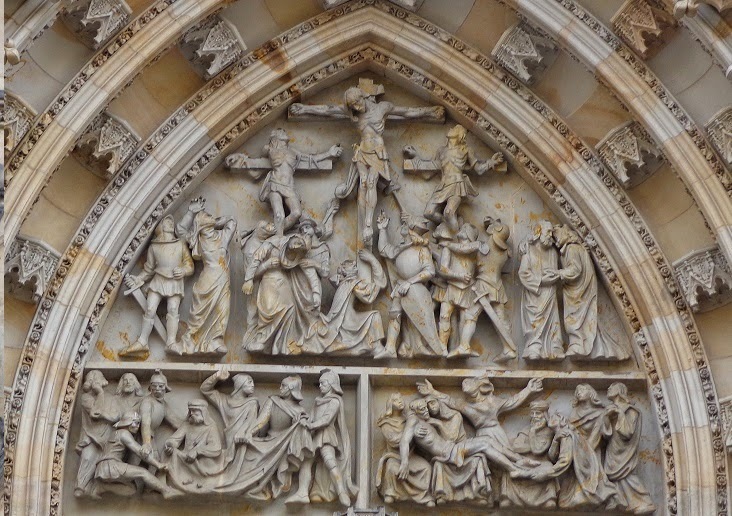 The detailed sculpture above the main entrance to St. Vitus Cathedral. 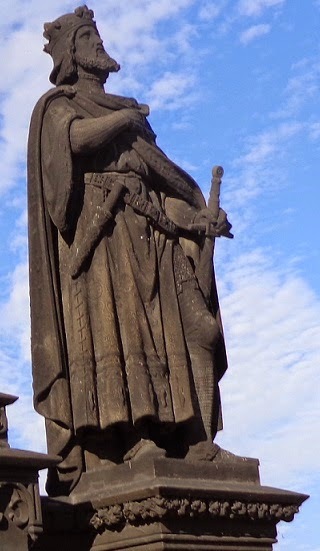 Statue of King Sigismund on the Charles Bridge (left) and a knight's shield hanging in Prague Castle (right). 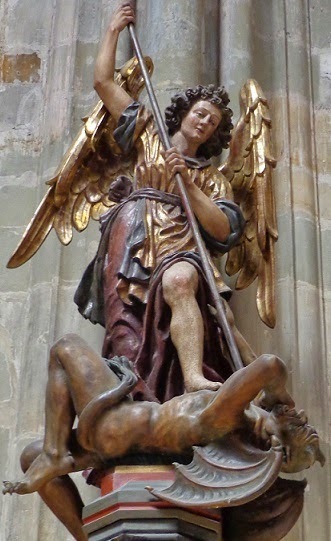 The archangel Michael slays Beelzebub in St Vitus Cathedral. 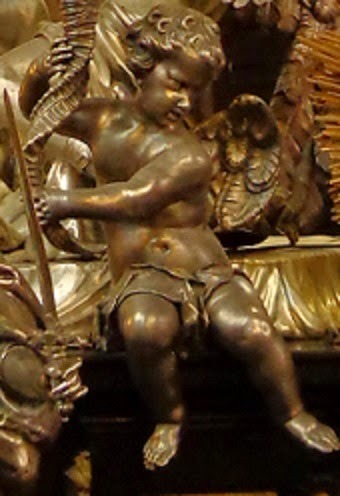 A cheeky cherub guards the tomb of St John of Nepomuk, patron saint of the Czech Republic, in St Vitus Cathedral (left), and the ornate organ pipes of the baroque St Nicholas Church in the Lesser Town Square (right) draw the eyes upward to God. 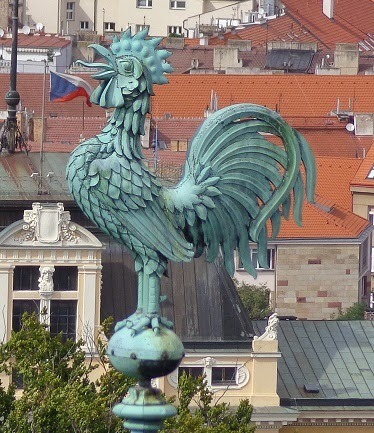 A bronze rooster crows atop a spire of St Vitus Cathedral while the Czech flag plays in the background. St Vitus was martyred by the Romans in the 4th century for refusing to give thanks to the pagan gods. 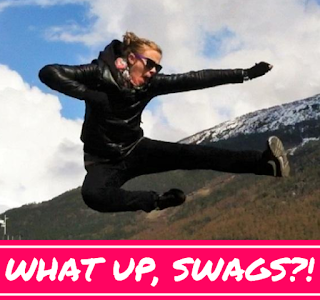 He was thrown into a pot of boiling oil along with a rooster. 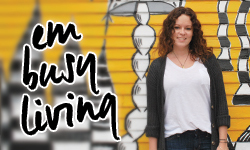 Linking up with A Brit & A Southerner for #WeekendWanderlust! Great shots! 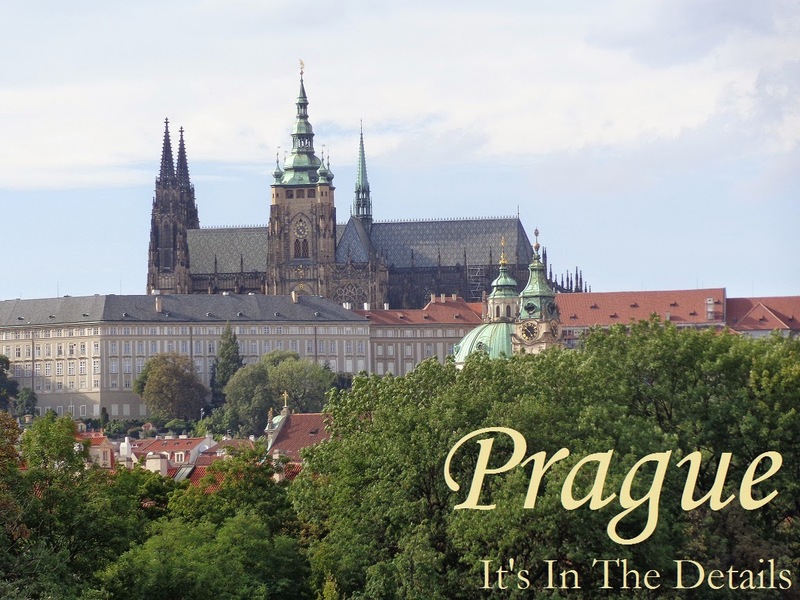 I can't wait to see Prague. 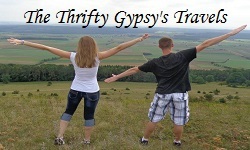 I've never visited Prague but I love these details that you've shown us! 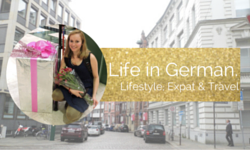 Sometimes it's all the little things you notice about a place that lead to a wonderful overall impression :) Thanks for linking up with #WeekendWanderlust! 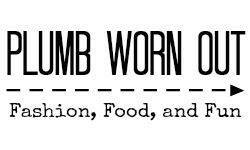 And it's funny how the memories of little things can really make a place come alive, sometimes even more so than the "big" things! I don't think I had noticed the rooster.